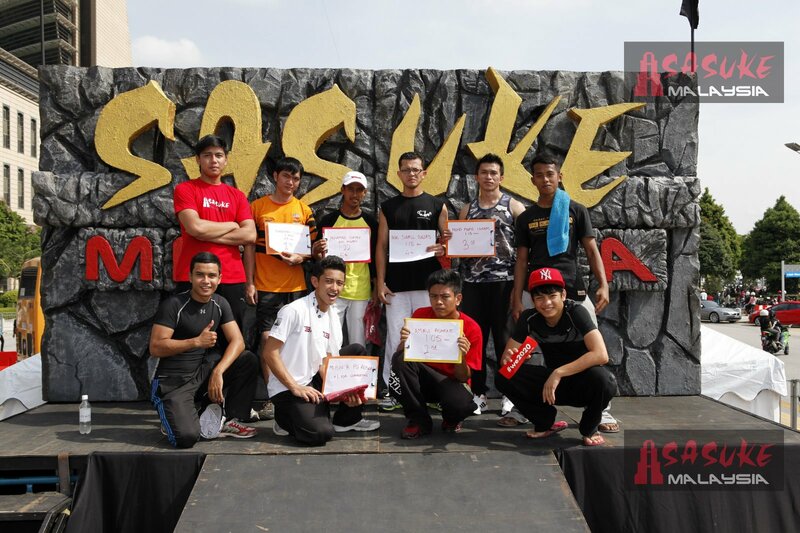 I mentioned this before but Sasuke Malaysia completed their (Hari Belia Negara) HBN edition in May. Unlike last year's event, HBN Edition was much smaller in scope (and not televised). It is rumored that the real Sasuke Malaysia Season 2 won't be until later this year. Because of a lot of things including Monster 9's bankruptcy, there's been a lot of reworking of the Sasuke Franchise. Not all is bad news though. Seems Sasuke is expanding into the Southeast Asian countries and more importantly with TBS still supporting the expansion. Malaysia was the first and is at the helm of it all in Southeast Asia. 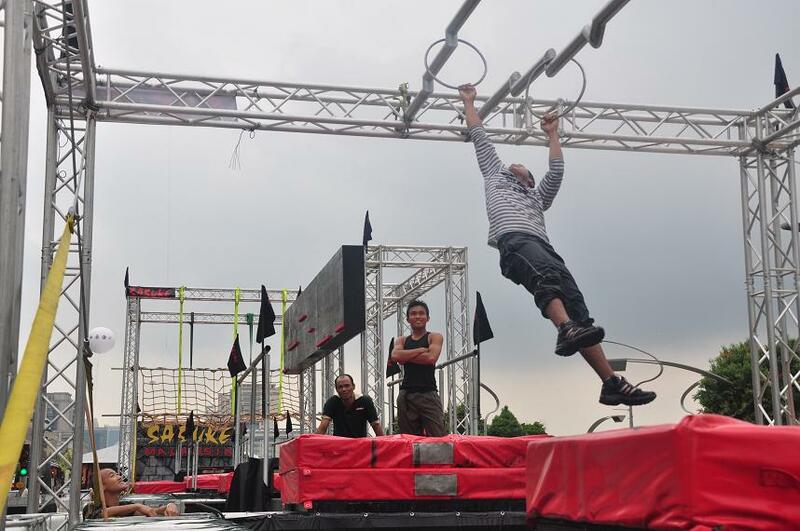 It is rumored that not only Malaysia and Singapore are joining in the spin offs, but also Indonesia and Brunei. No word on when, where and how they will be joining but I hope to find out soon. Also explains the concept of the Sasuke Association if more countries are now in the mix! 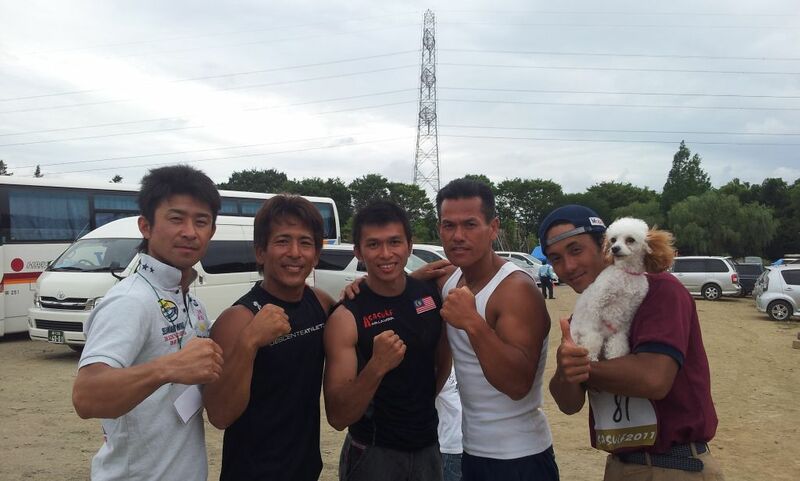 I'm hopeful all of this is to benefit Sasuke 28 but for now this will suffice while we wait. 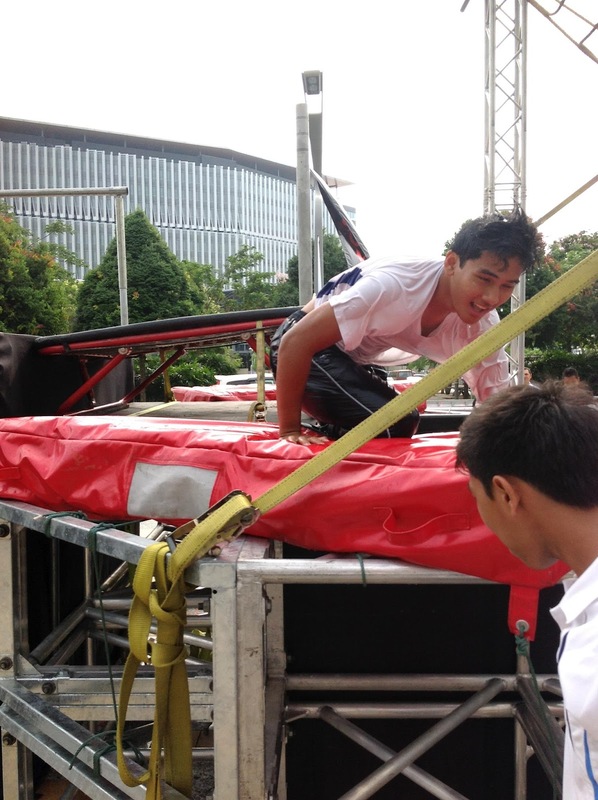 Just like Season 1 last year, the competition was tied to a large week-long event run by the Malaysian Government. 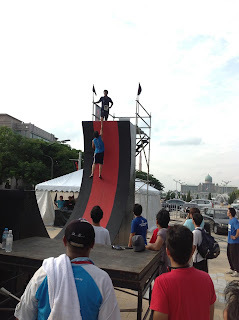 It's called Hari Belia (which I'm told means "Teenager" or "Youth" Day) and this year it took place the week of May 23 - May 27, 2012 in Putrajaya in Malaysia. The event is dubbed the 1 million youth gathering. What made this year different from last year was the fact that for 4 solid days they let anyone as a walk-on to take on the course as they wanted. 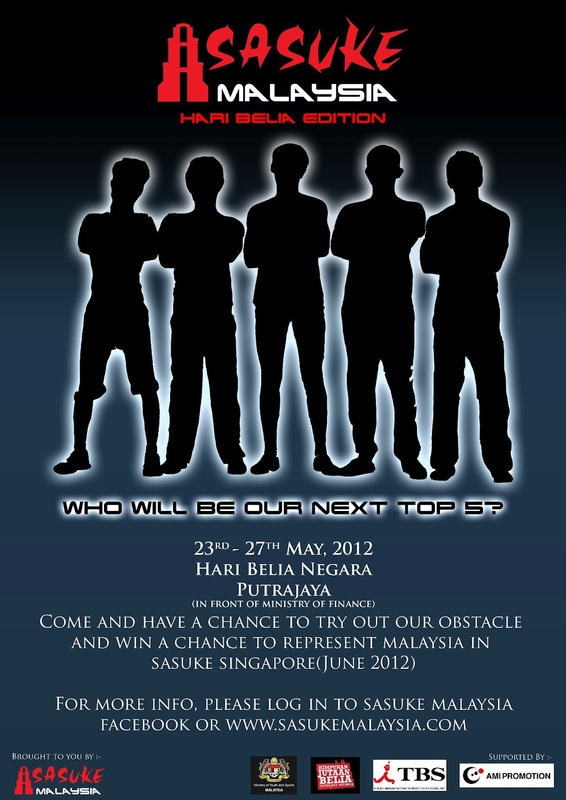 The last day was set for the actual applicants (and those who showed promise during the week) to pick the top 5 Malaysians to represent them at the upcoming Sasuke Singapore which is rumored to be held on June 24th, 2012. (see poster above) But more on that later. 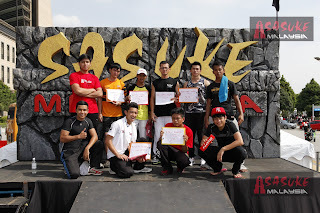 Anyway.. that aside the course was there both as press for Sasuke Malaysia (proving to everyone they are still around despite little to almost no information for a year) and a way to continue to build a stable of strong Malaysian competitors for future events. Still hoping for Sasuke 28 but everything is still up in the air despite our frustration. I'm happy though that many people got to participate and see this course up close. Smaller than last year I think with the inclusion of the Stage 3 obstacles and the placement of the wall being at the end, solidified that only the strongest/well-rounded competitors were even going to finish it! I like also that SM is still in there somewhere. For a long time people thought the organization folded when M9 went down. Luckily they are talking a bit more than they have been in the past few months. I hope that trend continues. 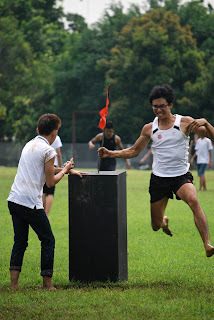 Communication is the key to participation and ultimately support. Speaking of Support SM can be found on Facebook. And for those who hate Facebook (like I do.. LOL) they can be found on Twitter as well. I don't know if they ever speak to anyone on Twitter (Lord knows I tried) but at least you can keep up on whatever they update on Facebook which is what it seems they are doing. Shame this won't be on television but maybe they'll have highlights in future shows (maybe tied to Sasuke Malaysia 2?). Ah well I'm at least finding stuff about it on Youtube. 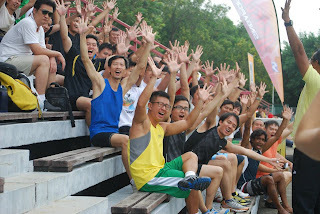 Maybe it will all be relegated to just "trials" like they did with the Monsoon Cup back in November (yes there was one.. it was so small and very little information I didn't even have enough for a blog...) More SM:HBN pictures can be found on their Facebook page. Anyway happy thoughts. 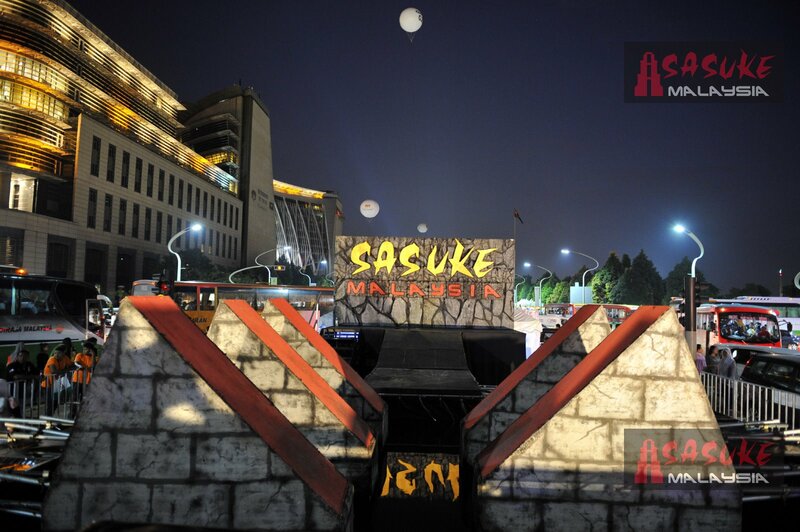 Oh and the photo above was from the blog that even mentioned the other 2 countries entering the fray and supposedly part of this Sasuke Association I keep hearing about. You know me, I hate being in the dark with anything attached to Sasuke so I'll do what I can to find out more about this and what it ultimately means to Sasuke in Japan. 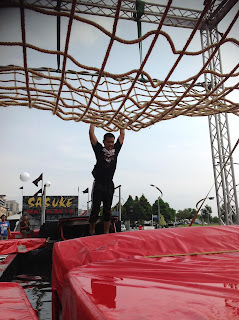 Armin was on hand again to provide awesome photos. For those who remember that name, Datuk Armin Baniaz Pahamin (profile in wiki) has been kind enough to keep us updated last year with Sasuke Malaysia making their debut in HBN. Most of the pics came from him last year. This year he didn't disappoint! There's a SLEW of photos on his website so feel free to see them all! As a warning. 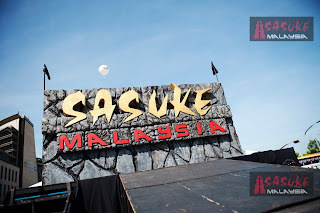 We crash his site on occasion so if you don't get it the first time around just check his main site then head to May, 2012 to get to the page with Sasuke Malaysia: HBN Edition. It's well worth it to see the library of pics and his funny captions! This face should look VERY familiar to you! (cough.. notice where he's standing.. cough) Anyway I hope to get his blog up at some point this year. Real life happens and things don't always work out in the time you want but I'm still very very hopeful you'll get to see his interview here on Rambling Rican! 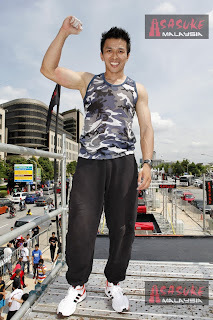 If I have the correct information, the top 5 going to Sasuke Singapore later in the month are Jonathan Hwa (National Speed Climber), Amirul Ashraf (Parkour), Farid "Cat" Isham (Parkour), Nik Saiful (Climber, top 5 in 2011) and Sufian (Parkour, runner up in 2011). 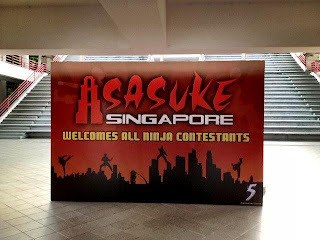 I was told 6 actually CLEARED SM:HBN out of all that tried but only top 5, as was advertised, get to represent Malaysia in Sasuke Singapore. In final news for Sasuke Malaysia on this blog - Season One has FINALLY after long last made it to Malaysia's airwaves! Seems a string of problems kept that from happening sooner. Hey, better late than never! Seems they will be running 7 episodes, half hour each for 7 weeks (every Sunday on RTM-TV2) with the final episode being 1 hour! Will we ever see it internationally? Who knows.. I just found out about this! LOL Let's hope they are kind enough to show it on Youtube or something for those of us who have been waiting a year to see it! 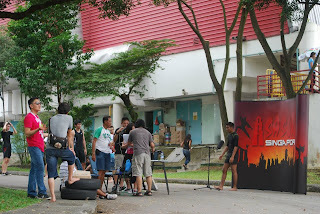 Onwards now to Sasuke Singapore news! 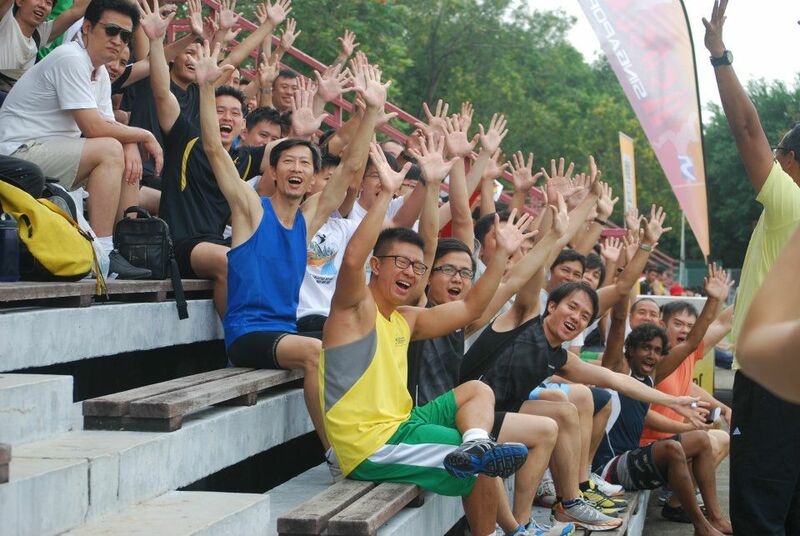 Singapore is doing something different. 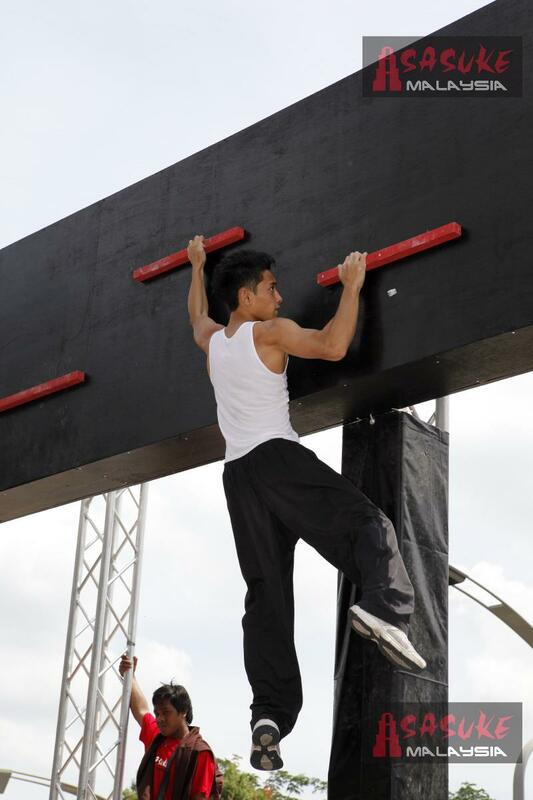 Deadline for their inaugural event was mid-May and now they are going through the process of weeding out the applications to bring it back down to 100 contestants. Over the past weekend Sasuke Singapore held qualifiers (as a 2 day event) to determine the physical aptitude and personality of each of their applicants. 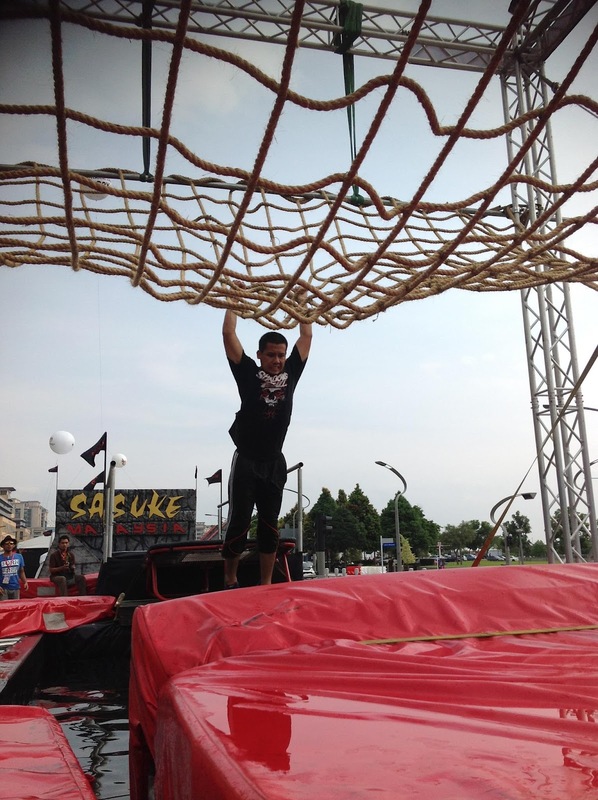 They held it on Saturday, June 2nd and Sunday, June 3rd. 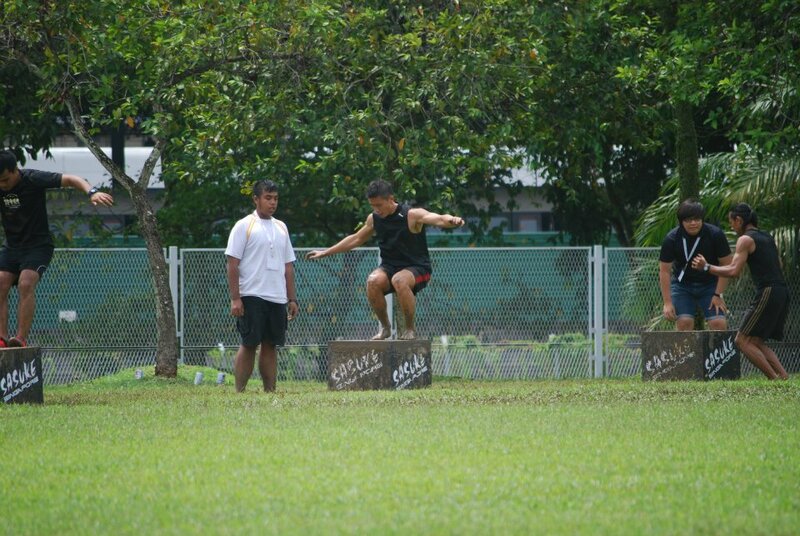 The day consisted of basic skill events to determine, strength, agility, speed and overall fitness. Unfortunately the weather muddied up their location but I'm okay with that.. Lord knows we've seen Sasuke be drenched in rain, muddied from previous storms.. heck.. in Kunoichi SNOW was falling.. LOL So if nothing else it really determines how someone did that day. I have to hand it to them. I'm impressed so far with how this is working out. Learning from Sasuke Malaysia, the same team on that project was also on hand to help out with Sasuke Singapore's progress. (Again, explains the whole Sasuke Association thing - at least in my understanding of it). 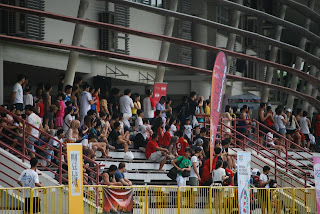 I'm also happy at the enthusiasm of the Singaporeans to the expansion of the Sasuke franchise. 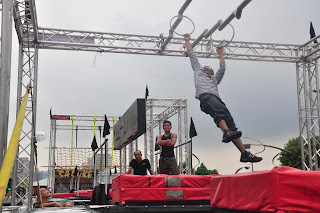 Something that is also going on here in the USA with American Ninja Warrior. From what I understand, they had qualifiers over the weekend. Seems callbacks for Sasuke Singapore are set sometimes around June 8th! I'm sure there are some eager people in figuring out if they made the final 100 cut! This is actually a cool pic. They took time to learn about absolutely everyone in their qualies. Also a good way to keep inventory of everyone who ever got involved with SS. Who knows who their next champion will be and it all starts here! 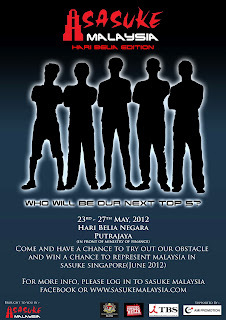 I'll keep an eye out for everything tied to Sasuke Singapore and Sasuke Malaysia and the ever-growing Sasuke Franchise. 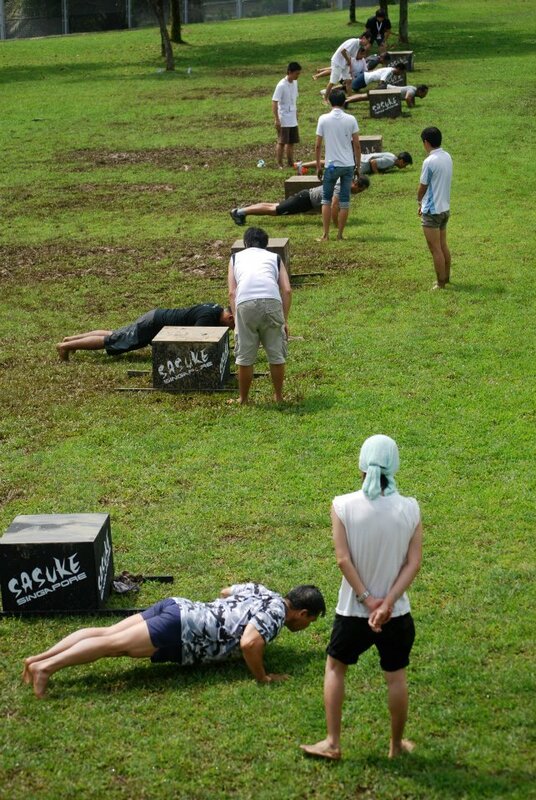 Hopefully some day you'll hear more about how this all ties in to Sasuke, Japan but in the meantime I look forward to Sasuke Malaysia's airing of SM's first season (finally Sunday's for the next 7 weeks on RTM-TV2) and for Sasuke Singapore (starting in August on MediaCorp 5)! I do hope they invite at least one Sasuke Japan star to SS' inaugural event.. Lord knows Yuuji was looking forward to seeing the USA fans again and much to his disappointment he wasn't invited.. Seeing the 2-time champion would be friggin' awesome! Progress is being made :) I don't want to get too optimistic, but things have been improving these last 6 months. As always thanks for the wonderful blog . It's nice to see sasuke expand and tbs seems to be taking a bit more interest of late. Now if only we could get a European country involved say. Uk. 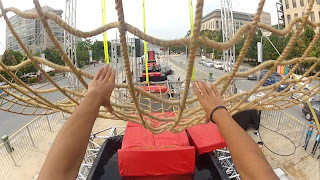 Come on challenge tv rise to the challenge. Sufian is actually also a worker in McDonalds.